Only months after his 5229 FUT procedure with Dr. Rahal, Martin has regained his identity, and he is back participating in family activities. Martin, a 41-year old Vice President of a small pharmaceutical company based in New York, lost his identity. Each time he looked in the mirror, he couldn’t recognize the man staring back at him with no hair. He became very image-conscious and started to withdraw from family activities. Just months after a 5229 FUT procedure with Dr. Rahal, Martin has got his life and his identity back. He looks 10 years younger because of a fuller, denser, and more youthful hairline framing his face. 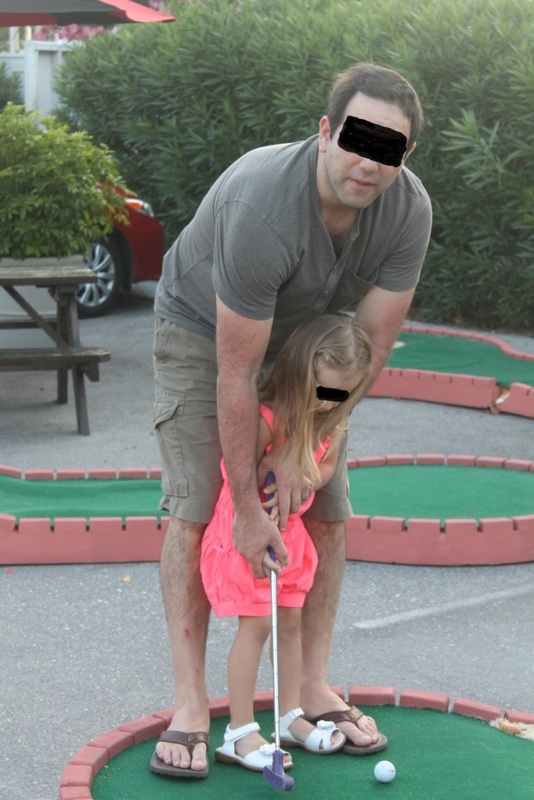 And, he is now again participating in activities with his family – golfing, swimming and photography. “I’m 41-years old, married with two children, and living in Connecticut, USA. I work as a Vice President of a small pharmaceutical company based in New York. My whole family is very much into photography as a hobby. I also like to play soccer, and golf. I have been dealing with hair loss for almost 20 years. It has always made me feel very self-conscious and caused a definite loss of self-esteem. Somehow, it made me feel “lesser” than others. Hair loss caused me to limit many of my day to day activities such as swimming and getting my hair wet. It had a significant impact on my life. As the loss progressed, the impact increased. My hair loss had been slightly offset by the fact that getting older makes it a little easier to deal with, since more of your peers are going through this too. Martin, only 12 months after his hair transplant with Dr. Rahal. The Rahal Hairline™ combines technical expertise and artistic skills, resulting in youthful, natural hairlines with maximum fullness, and density. In 2009 I had lost most of my hair. I felt like my face was no longer framed, and the hair loss changed the way my face actually looked. I did not recognize myself in the mirror any longer. That’s when I knew I had to do something about it. The shaved head thing never worked for me. I looked better with hair. My youthful hairline makes me look and feel 10 years younger. I have my identity back, and I now recognize myself in the mirror. Early on I tried many of the so called ‘natural hair loss pills’ with no success of course. I now use Rogaine foam and Finasteride with some success. I have very recently, added Avodart twice weekly to my regimen. 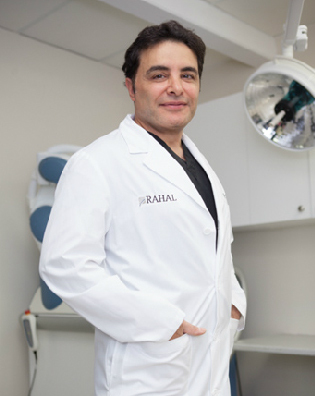 I have been a long time member of the Hair Transplant Network where I did a lot of research and discovered Dr. Rahal. I have also documented my hair transplant results by Dr. Rahal very extensively to help others suffering with hair loss. Since my procedure, I have given advice and suggestions to countless people. I have become quite the expert with my years of research. I made my final decision to have a hair transplant with Dr. Rahal because of his consistent results, ability to do large sessions, and his ability to produce fine scars. My new hair feels great! I have my identity back and I now recognize myself in the mirror. I feel and look 10 years younger. It was totally worth it. My face is framed, and I look like my old self. No way! Nobody has ever said a word and those who I have told do not believe me. The problems you mentioned earlier – (ego, confidence, etc.) – how are you with those things now? They are much better, but to be honest, some thoughts still linger because of my thin crown. However, I just had my second procedure with Dr. Rahal to address this on August 6th, 2013. Therefore, once it grows in, I hope to be at 100% with my confidence. 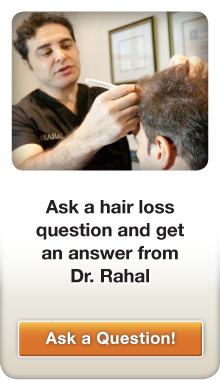 I think Dr. Rahal is an all-around talented doctor and not just on the hairline. I personally think that too many examples of his hairline work are shown publicly by the clinic, overshadowing the extent of his skill. This has led many to think he may be a “One trick pony” when he certainly is not. 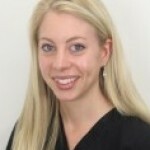 I think the clinic would be better served, marketing more examples of restorations on advanced loss patients, while still marketing the amazing hairline work, which is second to none. Do you have any advice for those who are considering a hair transplant? Do your research and consult with several doctors to find the one that is right for you. Understand what your total donor supply is before you dive into a hair transplant, so you can plan for the long term. You’re in good hands with Dr. Rahal. He is ethical and honest. If you feel like you are losing your identity and you no longer recognize yourself in the mirror because of hair loss (like Martin), then it’s time to act NOW – while you still have hair! 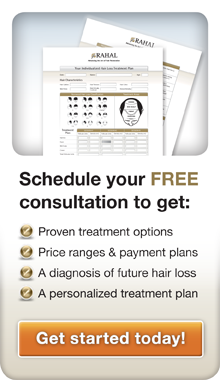 Call 1-877-551-2171 for professional advice and schedule your FREE hair consultation.